Dove Beauty is helped to make the stars even more beautiful at Sundance with the #DoveColor Beauty Bar. Check out these images from the events in Park City! Mario Lopez watches his wife Courtney at the Dove Color Care Salon in Park City as she gets tips to keep her hair vibrant from celebrity stylist Matt Fugate (using the new Dove Color Care shampoo and conditioner). 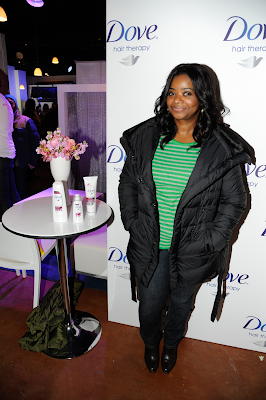 Actress Octavia Spencer stopped by the Dove Color Care Salon in Park City to learn about the new Dove Color Care shampoo and conditioner. Actress Ahna O’Reilly made a visit to the Dove Color Care Salon in Park City. This entry was posted in Hair and tagged Dove, Hair, Sundance on March 24, 2013 by Chrysa.